Description: Is Google Plus important for SEO? Does Google+ help to drive traffic? A guide to improve SEO rankings by Google+. What is the importance of Google Plus in SEO for your websites or blogs? In this article, we will show the important factors to use Google+ that could improve SEO rankings for your websites. Instead of SEO, Google+ is also helpful for drive traffic to your blogs or websites which we will discuss in the following post. Google is promoting its new social platform Google plus. Google Plus is growing rapidly; gaining more followers than any other social network ever did in its early days. Adding Google plus to your website or marketing campaign helps to increase the traffic and ranking of your site in the search engines. 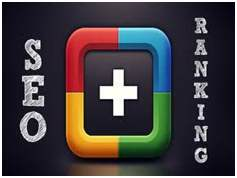 Therefore, here is the importance of Google Plus in SEO rankings for blogs. Maintaining multiple social platforms can be overwhelming and time consuming. But, adding Google plus to your site will soon result in higher SEO rankings on Google search engine. Google has introduced its new social platform to identify and track how the users rate the web content. Then based on the results and analysis Google will modify the search algorithm to better suit the user and to provide them the optimal search experience. Below are some main points to use the Google Plus for your websites. It is a smart idea to include Google plus into your social media marketing plans. You can create a page in Google plus and gain more and more followers to your website; Google is better at gaining artificial popularity. Google plus users can send emails to their co-workers and other users asking them to share their website with other people. This is one of the best marketing techniques. So, start using Google plus and send emails which contain good content that can easily convince other users to share your website. You can also send the private messages on Google+. Ensure that you have added +1 button on your site. This will increase the visibility and earn you more clicks. It is better to share the button at the top or bottom of the web page content, as it’s at its most visible point there. Readers believe me, +1 button is much more powerful than the like button provided by Facebook, i.e., if you are really enjoy the current post then you may hit the '+1' button which is placed below this post. Once you +1 this, It means you are voting me for your friends associated with your Google+ profile. Now, when your Google+ friend search with the queries related to the keywords of this post, Google will show our article to your friend by placing an arbitrary rank with a message that 'Your Name +1's this'. I think that is not a bad idea because, generally we trust on our friends. Google plus is also provided with the ‘circles’ option. With this you can keep different types of people and interests separate. You can create various circles like friends, marketing, clients etc. and add people to the circles; you can add one person to more than one group. You have an option to display the specific friends on the Google+ profile. The Google plus search feature works similar to that of the standard Google search. It includes three categories for searching, everywhere, from everyone and everything. With these searches SEO within Google plus is possible and helps you to improve traffic to your site. Recently, Google also started adding Google plus profiles to search results. The last but not least feature which is I really like, communities. Believe me, Google+ communities are much better than the Facebook groups. We are using both ways to drive traffic to our blogs, and monitored the traffic activities send via Google+ communities and Facebook groups. You can't believe, I found more than 400% good results for Google+ communities than Facebook groups. The signals are based on the various activities such as, bounce rate, avg. time on site, CPC and CPM. You can also create your Google+ community for your business. The most of the revenue this blog earn among the social networks is Google+. Google Plus always remains in the top of Adsense referrals. Therefore, Google+ direct traffic would also help to generate some extra bucks. In short, gain your Google+ profile or page followers, join the communities related to your blog's niche, and share your content to all of them. Once the content getting +1's by other members, your content would be more personalized for their friends whose +1'd. It will also help to index newly created content to the search. However, you have an option in webmaster tools for fetching it. Having quality products alone is not enough; you need to advertise your products and services to the maximum amount of people. So, every business, either small or large, should rely on advertising. You need to describe your products and tell your prospective customers why they should use your services. Social networks like Google+ are the best platforms to advertise and to connect with a vast number of people. You can also read my next post, disadvantage of SEM. Conclusion: If you are a small business owner or a big brand, you should use Google+ to attract more customers to your website. We have clearly seen Google+ doesn't only drive traffic to the websites even it is also powerful to improve search engine rankings (SEO). For more info about SEO, subscribe us for free!